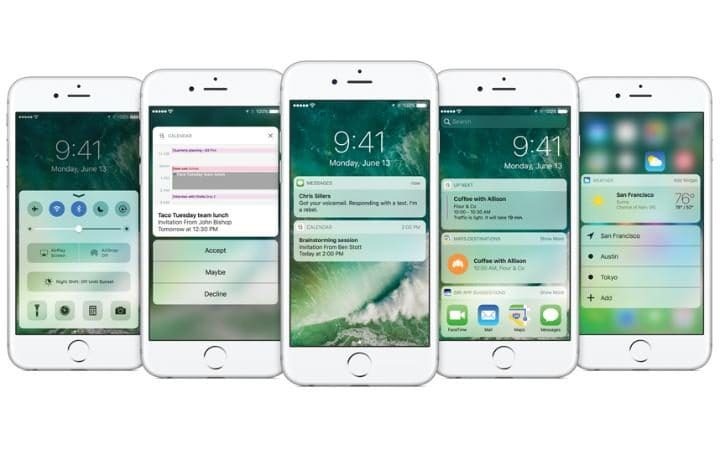 Apple has unveiled new software known as the iOS10 that comprises of so many hidden features that will enable you to cherish comfortable living from all angels without any complications. Now, your world will be in your grip with the innovative features of this software. Just make this your smart choice and enjoy several benefits. There are 10 most imperative features hidden in this software. Easiest Way Of Searching Tabs – This version of software allows you to open endless number of tabs simultaneously that too while browsing without leading to any haphazard situation such as keeping track while browsing. You can also rotate your phone the way you want. You can also search new tabs by just going through the search items and Safari filters. iPhone A Kind Of A Magnifier – Here is an added benefit of iOS 10 where you can use your phone to view pictures just like magnifiers. You can also opt for Auto-Brightness setting that will enable you to get a magnificent image of the pictures. A New Kind Of Stopwatch – Along with the Clock app you can also switch to Stopwatch, where you can also find a new face with much magnificent look consisting of several information. Fast Downloading Apps – You can prioritize your apps, as in which one you want to download first. In this way you can organize both uploading and downloading Apps according to your preference. Simplest Way To Find Contacts – Apple has launched a feature in iOS 10 where you can easily get in touch with your contacts. You just need to set the default method of communication by just holding on to the blue icon. Manage The Storage Music Automatically – Now, saving space on your iOS device won’t be hard as you can automatically manage your music storage that gets downloaded to your device. View Mails In One Go – You can view your mailbox by quickly filtering the messages by just a single press on the filter icon that appears on the left side corner of the screen. Want To Unsubscribe? No Problem – iOS 10 gives you the opportunity to free yourself from the newsletters that you get very often. By just sending a mail in iOS 10, you can immediately restrict these disturbing emails by just tapping on the Unsubscribe button that appears on the top of the email. 3D Touch – The 3D Touch in Control Center that appears on the lowest section of app icons helps in invoking different icons. This is one of the best features as for selecting an option you no longer have to go though several options, just one smooth touch will allow you multitasking. Take Photo While Listening Music – You must have faced this problem where you had to stop your music player before taking a photo. But, iOS 10 will solve this problem by allowing you to click pictures without turning off your favorite song.